Bera reached the waymark and took the path towards the Ice-Rimmed Sea. Marsh reeds and grasses whispered, husky in the frosted air. It was dawn, at the tipping-point of the autumn solstice; the end of fishing and trading and the start of hunting. Until Winternights, no one had time to visit the sacred sites, too busy making provision for the barren months ahead. Only someone who needed to. Her mother’s rune-stone sat on top of a hillock at the edge of their inlet, the place she had chosen at the height of her power. It was close enough to be reached from the village where Ottar had brought his daughter, leaving behind the rest of their folk to die from the red-spot sickness. Closer to the Seabost raiders, too, who needed his boats and would trade. Folk resented Seabost arrogance and feared their battle-scars but they needed meat, so deals were struck. Bera paused while she was still quite far away and gazed at the grey sentinel in a bleached landscape. Beyond it, a skein of whale paths stretched to the flat horizon, with furrows and cat’s-paws where the wind whispered on the water. She sensed the distant swell of long waves, their slow tumble in the deeps. The edge of the Known World. This was the seventh time she had come here on the day of her mother’s death. Her brother had killed her by being born and not lived long afterwards; but Bera was too young to remember much more than the heart-shape of her mother’s face. She walked on and the warmth of her skern, nestled into her neck, was a comfort. For once, she was glad he was silent. The Book of Bera is a standalone Viking adventure fantasy novel, the first of a forthcoming series following Bera: a feisty young woman with an inherited gift of Sight. 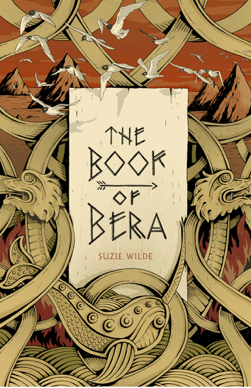 Since her mother's death, Bera has struggled both to control her gifts and to help her people endure assaults from cruel nature, sea beasts and the unburnt, walking dead. In Part One: Sea Paths, we enter Bera’s stark world. During long Winter nights, when fires should hold back bloat-corpsed Drorghers, Bera has to defend her village alone. Her twin spirit offers no assistance and Bera's failure to understand and control her power leads to her childhood friend’s slaughter. Bera swears to make his killer pay. When her father immediately weds her to a rival clan, Bera gets her opportunity sooner than even she had hoped. Now Bera must learn how to be a wife - and stepmother to a hostile boy - whilst all the time honing her skills to kill her foe without being caught. The trouble is, Bera’s gifts are growing every day and her predictions are becoming more and more ominous. Will she be able to get her revenge and safely lead her folk across the perilous Ice-Rimmed Sea before it's too late? First off – do judge this book by its cover. So Norse, so epic in both senses of the word – and so striking. Joe Wilson’s artwork sweeps you off into a Viking world of dragon-prowed boats and daring voyages. Look too at the colours – spare, and as if made from natural pigments. This all absolutely suits Suzie Wilde’s first book in her YA series. The Book Of Bera is dramatic and yet simply told; credible with a touch of magic deeply rooted in the Icelandic Sagas. There’s violence and courage, the harshness of survival and a spirited young woman making mistakes, friends – and enemies. How to Tame Your Dragon it is not. But there is humour from Bera’s camp and waspish skern or twin spirit. Reminiscent (in a good way) of Pullman’s daemons, it’s a fickle yet loyal being which adds much to Bera’s character. Bera has much to deal with in this harsh world – and learns a great deal, along with the reader. 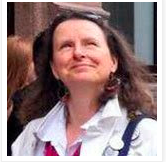 Suzie Wilde know her stuff – yet keesp it underplayed. Not an historical treatise. The prose is as simple and unaffected as you’d hope it to be, and the adventures suitably bold and exciting. Ideal for someone who loves the Vikings! TV series, it would sit rather well beside Joanne M. Harris’s Runemarks and Runelight (though they are set in alternative future). A little older in tone than Oskar Jensen’s The Stones of Winter, it is not for the faint-hearted, what with the hideous Drorghers and traumatic things happening to our heroine. Recommended if you want a strong story showing a brutal world with a brave protagonist beset by many difficulties. Bonuses – dry humour, convincing magic and great heart.